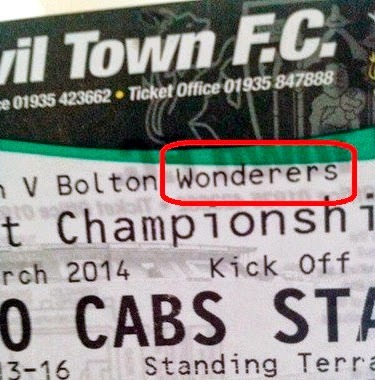 Last month, there was a football match between Yeovil Town and Bolton Wanderers. This is how the tickets were printed. Those lads from the North will have spent most of their time wondering where on earth Yeovil is.